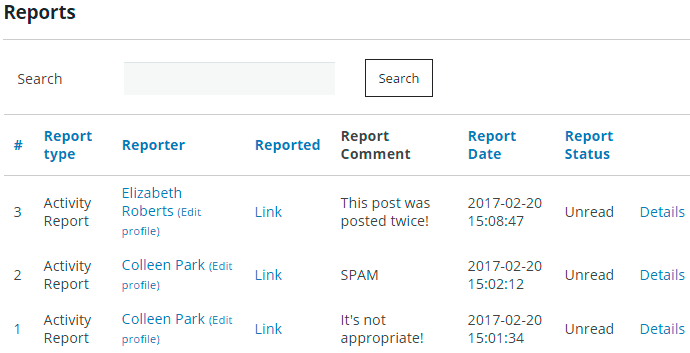 With Reports Settings of Membership plugin you can keep an eye on content quality of your Community. 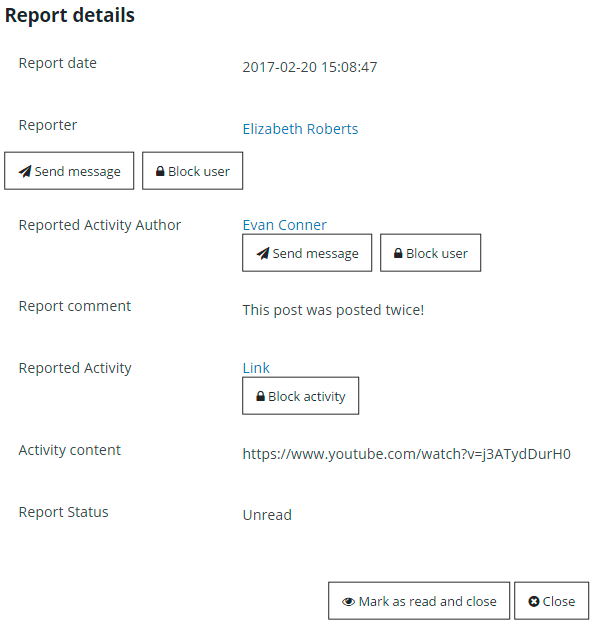 On frontend of Membership site there is the ability to report about unacceptable content of posts (post of membership user or group) or unacceptable content of user profile or group. Monitor all reports in table using Search option and sorting by – Date, Report type, Reporter, Reported and Report Status.